Recently, a choir of industry voices has risen up in opposition to strengthened controls on smog proposed by the Environmental Protection Agency. As with other recent environmental rules, opponents have made lots of noise about the potential economic harm and job losses, while attempting to downplay the environmental benefits. House GOP members, for example, decried the “potentially devastating impacts of [the EPA’s] proposed new standards on the U.S. economy and jobs.” But these and other alarmist calls all suffer from the same flaw: They’re premised on studies that disregard basic best practices in cost-benefit analysis in order to force their point. One of the main linchpins of industry’s case against the proposed smog rules is made most extensively in a report by the American Petroleum Institute. The argument is based on the fact that that many of the early deaths avoided by the rule will come from a reduction in soot (or particulate matter), not smog (or ozone). Some might call this lifesaving benefit killing two birds with one stone, but API cries foul. 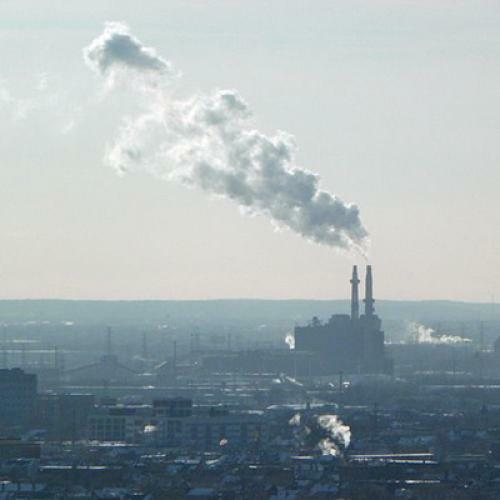 In the cost-benefit analyses that typically judge these rules, the lifesaving effects of particulate matter reduction are considered a “co-benefit” or “ancillary benefit.” There are benefits (soot reduction) that are accrued in addition to the ones that come from taking down the target risk (smog). Best practices for economic analysis require that co-benefits be included, because they are genuine effects of a rule and therefore should be taken into account. In the case of the proposed smog rule, however, API and other groups eschew these basic cost-benefit principles. In their view, only smog exposure mortalities should count, not soot-exposure mortalities, even though there would be reductions in both. But when the tables are turned, industry favors counting indirect costs when weighing the cost-benefit of environmental protection. This idea, called “countervailing risk,” was popularized by John Graham, the top regulatory official in the White House for most of George W. Bush’s presidency, and has gained wide acceptance. Here’s an example: In 1989, EPA banned products containing asbestos to reduce cancer deaths caused by airborne exposure to toxic dust. But asbestos makes brake pads more effective and a fear arose that the ban would lead to an increase in highway deaths. Industry argued that this countervailing risk should be taken into account when setting regulatory policy. That makes sense and courts have agreed. A federal court struck down an EPA asbestos ban in part because these countervailing risks were not taken into account, and the D.C. Circuit has struck down fuel-efficiency standards when effects on car accidents were not examined. So if negative side effects are taken into account, what is the justification for not taking the positive side effects into account? There is none, other than simple anti-regulatory bias. That might be acceptable for an industry trade group, representing members who will have to pay to clean up emissions (which isn’t free, even if benefits outweigh costs). But what does it mean when congressional leaders echo studies like API’s without pointing out the flaws? If we are going to have a system where cost-benefit analysis plays a role in setting policy, then we need to acknowledge indirect effects that are both positive and negative. The American Petroleum Institute and similar groups have a clear incentive to downplay the benefits of environmental protection. But no one should be surprised when their complaints have as much substance as a puff of smoke.